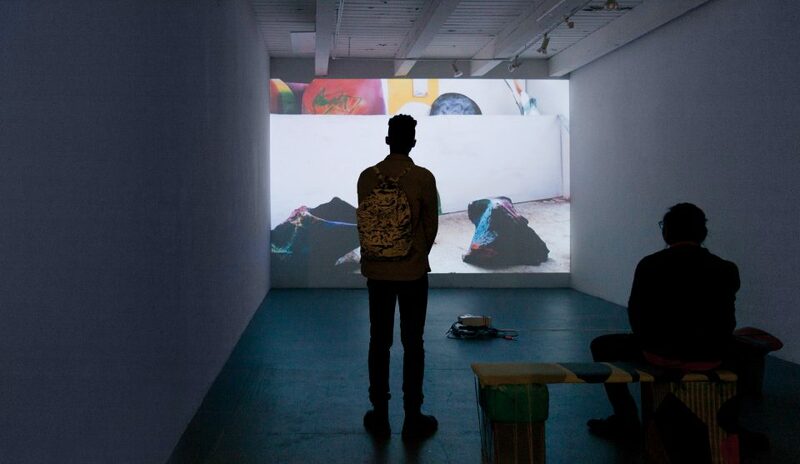 Featuring Candida Alvarez, Jorge Méndez Blake, Robert Burnier, Julietta Cheung, Assaf Evron, Roberto Harrison, Dominika Jackuliakova, Betsy Odom, Stephen Lapthisophon, Nazafarin Lotfi, Heather Mekkelson, Matt Morris, Michael Milano, Bailey Romaine, Josh Rios + Anthony Romero, Ellen Rothenberg, Selina Trepp, Anne Wilson, and Fo Wilson. Euclidean Geometry is based on the precept that the shortest distance between two points is a straight line. An elegant and comprehensive geometry unfolds with that supposition in mind, a geometry whose logic yields other shapes and relationships, surfacing by way of conclusion in material architectures, cities, and regulatory bureaucracies that society navigates daily as a matter of course. Implicit in this inherited approach, however, is the premise that space itself is stable, flat, and consistent. What if we propose that space itself is curved? For a plane crossing from one part of the world to another, for instance, the arc is its most direct route. If space bends, an entirely other logic presents itself, realizing an alternate field of potential. “The Shortest Distance Between Two Points” explores the relationship between logic, geometry, and the social actions that unfold, react, or resist therein. CAC: Why were you interested in curating The ANNUAL? CP: I had been thinking about this exhibition idea for a while—that is, how abstraction has an embedded politics within it. Or, further, how we are surrounded by inherited politics that get so absorbed into the mundane and material practicalities of life, the individual doesn’t really notice that they exist. Until they break and suddenly you want to know why a thing was made that way. Why is the keyboard organized the way it is? Why does the US prefer AC power? Discovering and uncovering aesthetic principles that shape expectations is a way, for me at least, to feel more empowered. CAC: Can you give an example of how one or two pieces in the show truly exemplify the drive behind the exhibition? CP: My hope is that you could begin with any of the artworks present, recognize how its proposition highlights or undermines a set of everyday expectations and then follow that thread from one work to another like a dialogue. So, if you see a connection between Julietta Cheung’s joinery and Anne Wilson’s Portable Cities, then perhaps you look at Betsy Odom’s LZR Suit and start to consider the ways in which our own clothing imposes a set of behavioral and material expectations; or then perhaps you look at Josh Rios and Anthony Romero’s The Parable of National Projection that includes a vintage projection screen, a found flag, and zip ties. 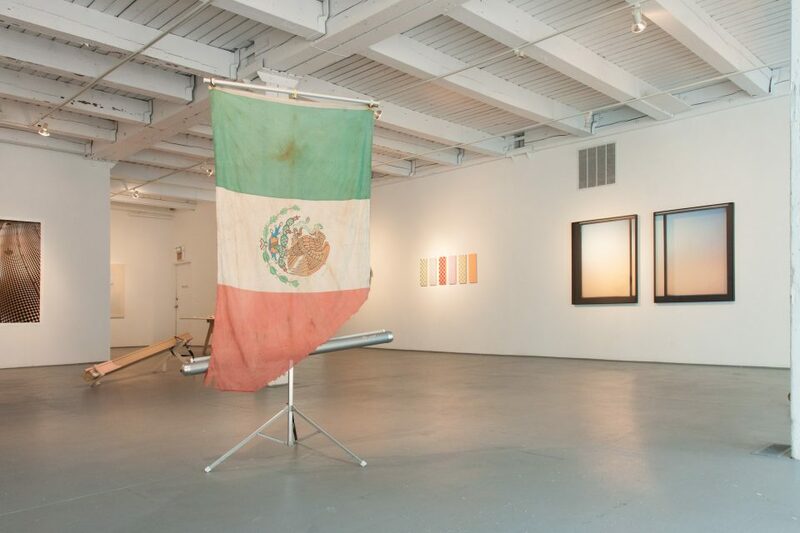 The projection screen/flagpole teases the conflation between national identity, borders, and projected associations. How is it that international borders are formed and inscribed? How do individual citizens carry those borders within themselves when looking at the rest of the world and one another? 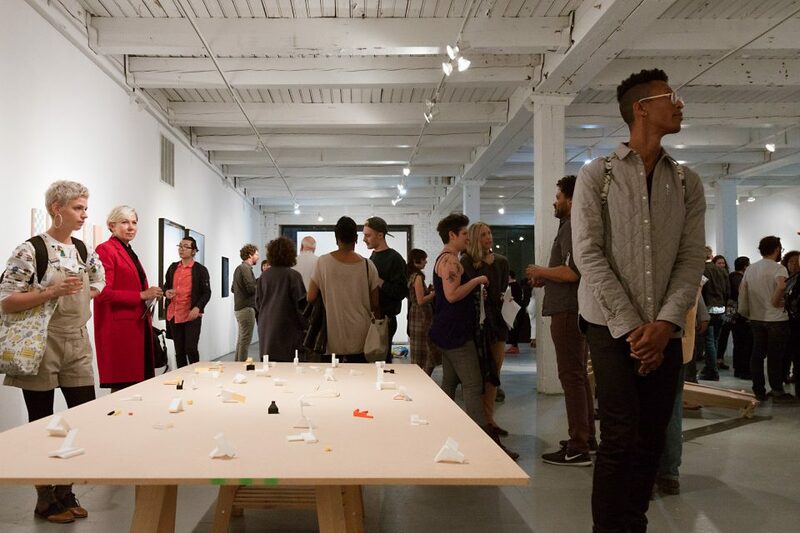 CAC: Did you approach curating this show differently than other shows? If so, how? CP: I don’t think so. When I’m curating an exhibition, I tend to bump into an idea when I’m not paying attention. In this case, I was in a bookstore and bumped into a book I read in college and haven’t seen since about Non-Euclidean geometry. I distinctly remember reading the book and being totally confused until the professor made a drawing of a sphere and asked us to connect two points. We made a curved line or arc instead of a straight one. It’s like a whole new perceptual awareness opened up, as I suddenly had to reconsider my expectations of space itself. It was almost psychedelic. Learn more about Caroline Picard in Documented Dialogues on CAR. The conversation between Picard and artists Lindsey Dorr-Niro & Lisa Vinebaum investigates the relationships between aesthetic form and historical content, material references and site specificity, and precarious utility and labor production. Watch the video here.